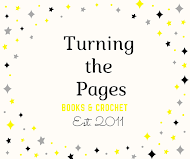 Waiting on Wednesday is a weekly meme hosted by Jill at Breaking The Spine and is where we can talk about books we are looking forward to being released. 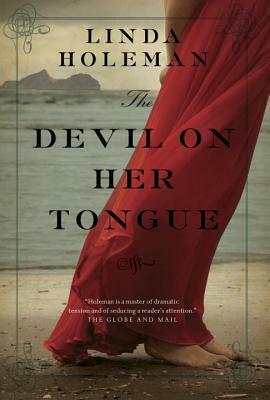 A spellbinding story of loss, romance and betrayal set in 18th-century Portugal, from internationally bestselling Canadian historical fiction author Linda Holeman. Diamantina is 13 when her father, a Dutch sailor who washed up on the Portuguese island of Porto Santo, abandons her and her African-born mother and sets off for the New World. Unbaptized, tainted by her mother's witchcraft and her foreign blood, the girl is an outcast who seems doomed in her struggle to survive. Diamantina refuses to accept her destiny and vows to escape her circumstances and forge a life of her own, no matter the cost. But as the price of her desires rises, can she live with the choices she has made? Diamantina's odyssey to change her life is a sweeping narrative of starvation and plenty, cruelty and love, disaster and triumph. I have heard amazing things about Linda Holeman's writing and I haven't read anything set in Portugal before so I had to add this to my TBR pile since I'm such a huge fan of historical fiction. The critically acclaimed authors of I'll Be Seeing You return with a riveting tale of two sisters, set in the intoxicating world of New York City during the Roaring Twenties. Once in New York, temptations abound at every turn, and soon the sisters are drawn into the glitzy underbelly of Manhattan, where they must overcome their differences and learn to trust each other if they're going to survive in the big city and find their brother. 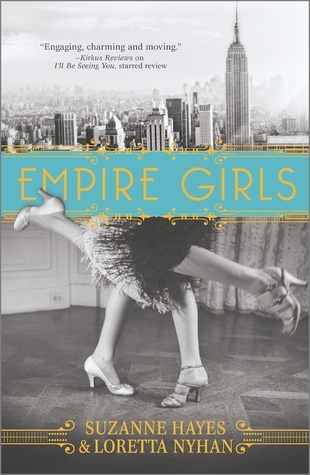 Filled with unforgettable characters and charm, Empire Girls is a love letter to 1920s New York, and a captivating story of the unspoken bond between sisters. I've always been fascinated with the 1920's and I absolutely fell in love with the cover of this book when I saw it. Then when I read the summary I was even more taken with the book and can't wait to read it. Doesn't it though? I think I might end up requesting this one on Netgalley even though I said I was through requesting for awhile. Thanks for stoppin' by! I think I saw Empire Girls on Netgalley this morning. The cover caught my eye. I hadn't heard of either these books until Netgalley and now. Enjoy when you get to read them! Yeah it's on NG but I put a sanction on myself to not request any books for awhile even though I'm auto-approved for Harlequin. The other is on NG too :) Thanks for stoppin' by. Isn't the cover amazing? I'm kind of in love with it :) Thanks for coming by! 2 time periods I don't know much about - and such gorgeous covers! Thanks for sharing. I love the covers for these ones this week, they were what originally drew me to the books :) Thanks for stopping by. Both sound really good. Ive only recently dipped into Historical fiction and enjoyed what Ive read so Ill definitely look into these. Thanks for sharing!! Historical fiction is such a great genre to read :) I'm glad you're starting to dabble in it. Thanks for stopping by Natalie. The Devil on her Tongue sounds absolutely amazing! It sounds like it could be so interesting and I love the sly mention if magic there! I love the Roaring Twenties and Empire Girls sounds like it could be a lot of fun! Thanks for sharing :) Hope you have a great rest of your week! Thanks for stopping by Juli! I love that hint of magic as well. Devil on her Tongue looks sounds pretty interesting :) I hope you get your hands on both books! Thanks for stopping by My WoW! Thanks, I hope I get them both soon too :) Thanks for stopping by. Me too, I love to read about the 20's, it is such a fascinating time. Great picks. Isn't it just? Things were so different then and I think the 20s are fascinating to read about. Thanks for stopping by Jenea. I love movies se in the 20s to Olena there's just something about that time that captures the imagination. Thanks for stopping by. I like the cover for The Devil on Her Tongue and it sounds awesome. Empire Girls sounds interesting too. Great picks! Both are on Netgalley if you want to request them :) I love the Portugal setting too. It's not somewhere I've seen too many books set in before. Both of these sounds terrific! Very different books, but such interesting settings for each of them! Nice choices. I love the covers too Jackie, I think they're just gorgeous. Thanks for stopping by. Wow, so these picks are both new to me - very interesting! Love 20s fiction :) Thanks for stopping by earlier! I love your comments! So feel free to comment away I'll try to answer every post so check back! . Also feel free to leave a link to your blog and I will absolutely follow you back :) Happy Reading! *Note: This is an award free blog, thanks for thinking of me but I simply don't have the time to pass it along!